Free download vector lamp graphics. 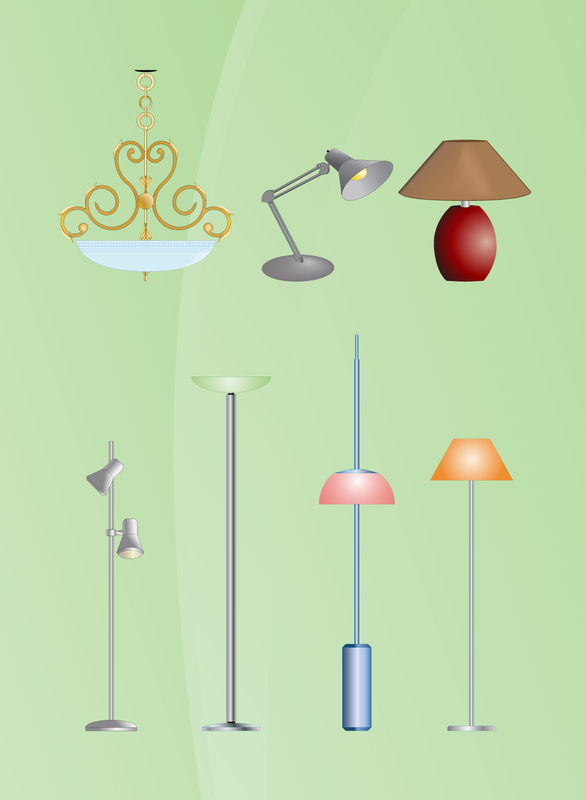 Seven lamps and lights rendered as semi realistic or cartoon style vectors. Comes with a hanging light, desk lamp, table light and several free standing lamps. Copy and paste into your furnishing, interior design mock-ups and cartoon scenes. Tags: Appliances, Desk Lamp, Electronics, Furniture, Lamp Shades, Light, Wall Lamp.